“Solyndra’s power solutions offer strong return on investment and make great business sense.” That is a rather strange claim for the website of Solyndra Inc., accessed on August 29, 2012 no less. Some history is in order. Solyndra was the first renewable energy firm to get federal stimulus money and bagged $535 million in loans from the Obama administration, which hailed Solyndra as a model for green jobs and America’s clean-energy future. 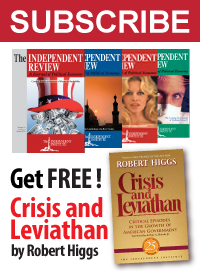 But despite more than half a billion federal dollars Solyndra duly went bankrupt, shutting down operations and laying off all employees a year ago on August 31, 2011. 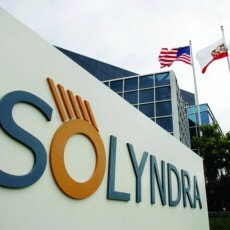 The wreckage included, among other things, millions of glass tubes Solyndra used in solar panels. The review from the House Energy and Commerce Committee was different. With a price tag of half a billion and only $24 million expected to be repaid, the SOL Grotto shattered all cost records for works of art, more than the $250 million Qatar paid for Cezanne’s “The Card Players.” The work fits well in politically correct Berkeley, which outsources collection of recyclables even though the city itself could do the job cheaper. It also recalls controversies over government-funded art, in which the failure to get government money is construed as censorship. But this isn’t just about art. The designers of the SOL Grotto know that SOL also means something else, ending with “out of luck” and the grotto, “also explores Solyndra’s role as a company” in that regard. Actually it’s the taxpayers who are truly SOL on this deal, and on that front the story marches on. The federal Department of Energy and the Internal Revenue service are contending that certain investment firms could use Solyndra’s losses to avoid future income tax liabilities on ventures unrelated to the failed solar company.